Standing at 5 foot 5 I’m considered ‘too short’ for the fashion industry. The typical agency will accept models no shorter than 5’8 and for catwalk, even that’s considered short. But lately there have been some changes to this that are definitely not going unnoticed. 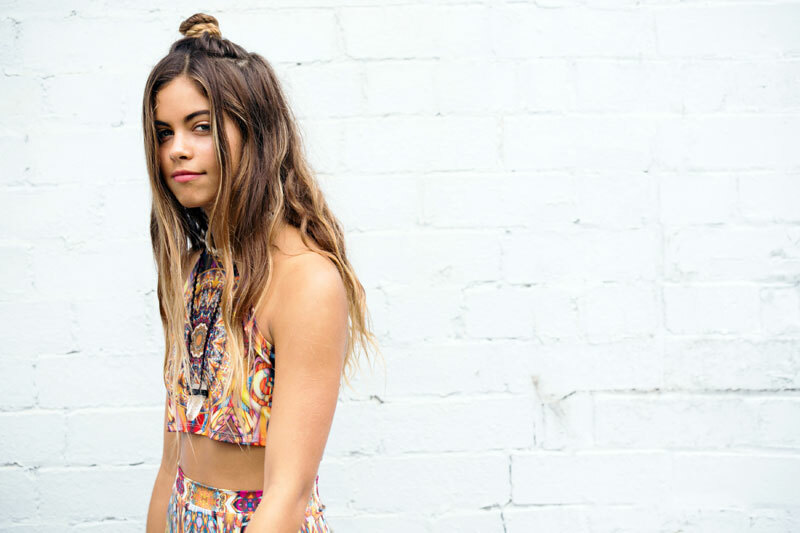 I’m a little obsessed with Australian model and full-time cutie Mimi Elashiry. She’s captivated the social world of Instagram with her cheeky smile, sun-kissed skin and to-die-for wardrobe. Well now she’s taking things further. At 5’6, Mimi is two inches shorter than the strict industry cut-off and has been rejected by pretty much every model agency that she’s approached. Being told by one agency that she may as well give up now, Mimi decided to do it herself. Asking a photographer family friend to take her pictures Mimi took to Instagram to promote. Now with a following of over 400,000 people and working with some of Australia’s popular female fashion companies, it’s beyond me how she’s been declined by so many model scouts. Well, I bet they’re kicking themselves now because Mimi has just been signed to one of LA’s top agencies Next Model Management and will be walking tall for David Jones at Vogue’s Fashion Night Out this Thursday. This is something that’s grabbed the attention of thousands- yippeee!!! And about time too. The fashion industry is quick to criticise any model different from the norm and being shorter than fashion standards can be seen as almost offensive. Ridiculous. From personal experience, I feel Mimi’s frustration in her struggle to be noticed in the fashion world and simply being held back by her height. 5’6 is hardly short (the average UK female height is around 5’4.5) and she has a face and figure that would have any man- and woman- falling head over heels to look at. So why has it taken so long for this break through to occur? Luckily, there are other industry movements that leave even more hope for us shorter girls and guys. New model agency Anti-Agency represents only models that aren’t typical ‘model material’ and e-commerce sites such as ASOS and Boohoo have been seen to use shorter models lately. Even designers such as Nasir Mazhar are making a stand against the norm by featuring a variety of heights and races in their shows. It’s refreshing to see such changes but these are just a drop in the ocean. Admittedly, the world of fashion advertisement isn’t there to showcase a realistic view of the average person. Their aim is to create an aspirational factor that people strive to achieve and hence, buy into with the hope of doing so. However, who says that 5’8 and taller is the only height to aspire towards? Who says that white models are the only models that should be admired? Who says that curvy models don’t exist? I definitely don’t and know that the majority of people out there would like to see some variation in these figures that we are expected to desire. Well congratulations, Mimi. With a social following of over triple the spread of many popular publications this is one little lady who is making some noise. This is the start of bigger movements and I’m excited to see (and hopefully be part of) what lies ahead. There’s still a long way to go, but personally I think that this is the right time for a change. Who’s in?